We’re having an idyllic summer … I have never seen the lake so calm or found it as warm as it now is. Photographed this week at Lake Taupo, New Zealand. 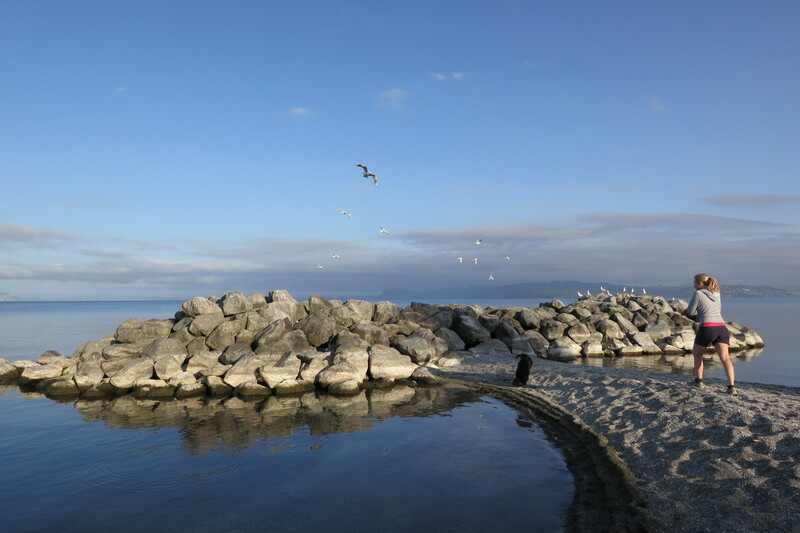 This entry was posted in Photography, Travel and tagged #Weeklyphotochallenge, Forward, Lake Taupo, New Zealand on February 28, 2013 by Rossi. It’s a matter of interpretation … forward or back? Photographed on Papamoa Beach, Mount Maunganui, New Zealand. 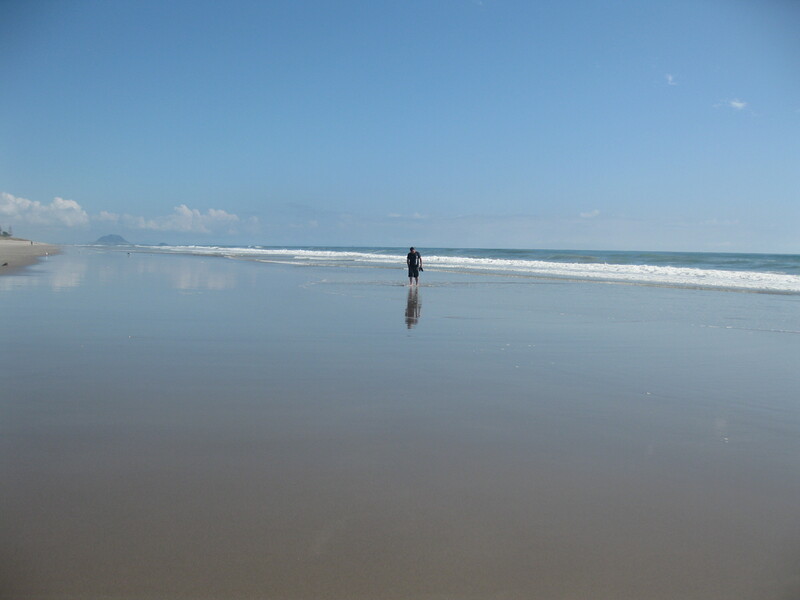 This entry was posted in Photography, Travel and tagged #Weeklyphotochallenge, Forward, Mount Maunganui, New Zealand, Papamoa Beach on February 25, 2013 by Rossi. Sorry folks, couldn’t resist this one…no-one wants to follow a pooch with tummy problems! 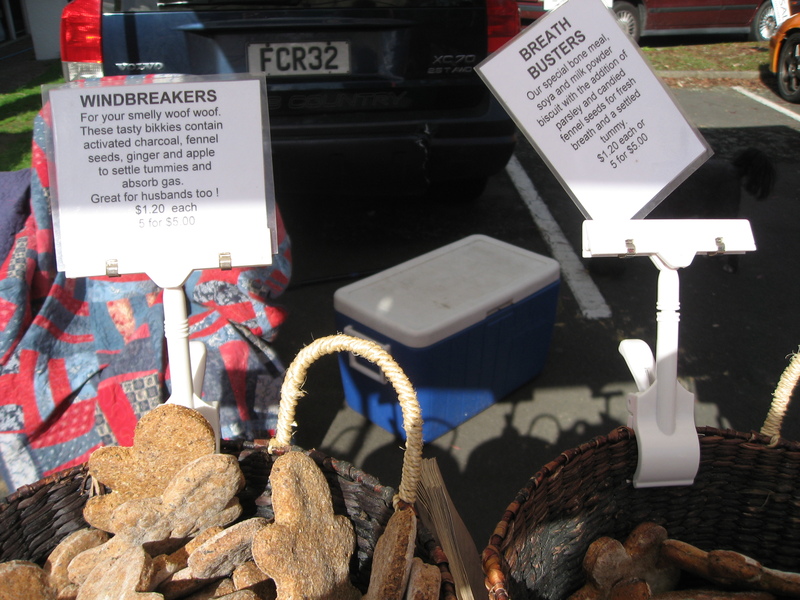 Photographed at the French Market, Auckland, New Zealand. This entry was posted in Food, Photography, Travel and tagged #Weeklyphotochallenge, Auckland, following, French Market, New Zealand on February 23, 2013 by Rossi. This morning, camera in hand, I took myself off to Wellington Zoo. I’m embarrassed to admit that I haven’t been there for years – since my now adult children were little! We’ve had such a gorgeous spell of weather lately and I decided that, in my ‘between jobs’ state, I should see for myself all the changes that have been made at the zoo in the intervening years. I was not disappointed. In fact, I was totally entranced. I ended up spending the best part of three hours there vowing to myself to make regular visits from now on. I could ramble on and on about the fabulous events Wellington Zoo offers, but it’s best to check out their website if you’re interested. I was prompted to go today because of an article in this morning’s Dominion Post about a baby Royal Penguin which had been found on Sunday at Tora Beach on the Wairarapa Coast. The sick penguin, after being cared for overnight, was taken to Wellington Zoo. Royal Penguins, the article tells us, live about 2000 kilometres distant on Macquarie Island where the temperatures is around 8 degrees celsius. A far cry from our recent temperatures in the high 20s. When I arrived at the zoo, I was told that the penguin would be undergoing surgery in the Animal Hospital this morning. The Animal Hospital (called The Nest) is open viewing. The vets (microphones on) operate behind a large viewing window and describe what they’re doing and why. We watched as our little royal penguin friend was gently anaesthetised and and ten operated on. A large group of young school children sitting on the ground in front of the window watched in awe. We all hope the wee fellow makes it; his chances aren’t that good. Not far away, all the other animals either frolicked or lazed in the sun. 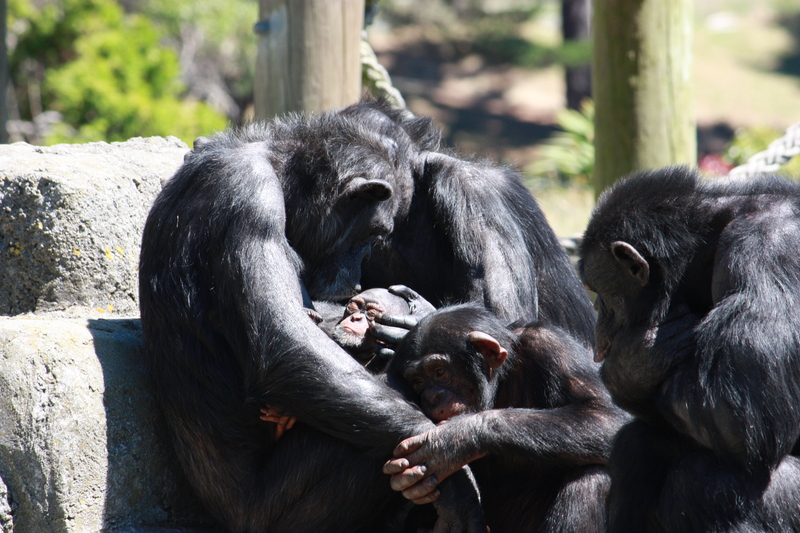 I hope you like this picture – there were two baby chimps in the enclosure, both being lovingly nurtured by their mothers. There were also some toddlers getting up to normal toddler mischief – they reminded me of my kids! This entry was posted in Design, Photography, Travel and tagged #Weeklyphotochallenge, Chimpanzees, Dominion Post, Kiss, Royal Penguin, The Nest, Tora beach, Wairarapa Coast, Wellington Zoo on February 20, 2013 by Rossi.